Explore the iconic and diverse architecture of Europe on this exclusive pre-set package that sweeps you away to Rome, Positano, Florence, Venice, Paris, London and Dublin. 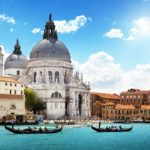 With exclusive pre-arranged tours with expert guides, accommodation and private transfers, this is the perfect Europe architecture tour on which to discover the decadent buildings and varying architectural styles of Italy, France, England and Ireland. Price: Starts from $5832 per person (land rate). Packages can be booked with just a 20% deposit. Please refer to the Pricing box at the bottom of the page for more information on pricing and deposits. Flights: Please note that this package does not include flights. When purchasing your flights from your chosen airline, we recommend that you fly into Rome Fiumicino Airport and fly out of Dublin Airport. If this is not possible for you but you would still like to book this package, please contact us for a customized quote. Itinerary: This tour of Europe’s architecture begins in the Eternal City of Rome, where you will visit the unique Vatican Museums and have time to admire the grandeur of St Peter’s Basilica and the Sistine Chapel, before also enjoying the city’s fountains and, of course, the iconic Colosseum. 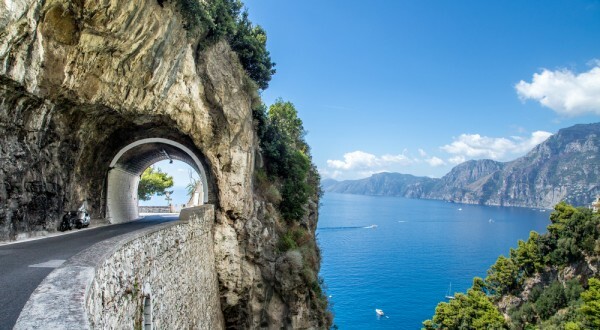 From Rome, you will travel to the Amalfi Coast to relax in the exclusive vacation resort of Positano, which is rich in typical coastal architecture, before we take you into the heart of Florence to enjoy its Renaissance buildings and art. 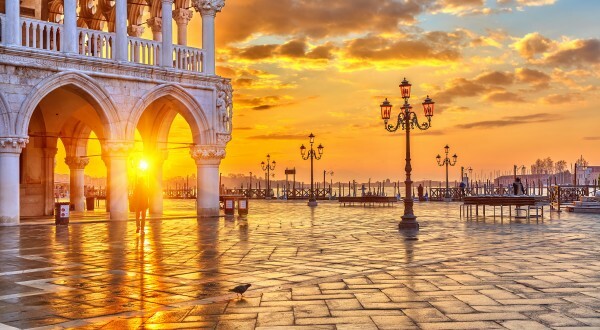 Your final stop in Italy is Venice – a place where you can be swept into the magic of the Floating City and admire decadent palaces, such as Doge’s Palace, as well as the famous Golden Basilica in St Mark’s Square. After enjoying the varying architecture of Italy, this Europe tour takes you to Paris in France, where you can admire famous landmarks, such as the Eiffel Tower and Notre Dame Cathedral, on a private VIP tour of the city. With 3 nights in Paris, we’ll make sure you have plenty of time to absorb the magic of this romantic city before we whisk you to the historic UK capital of London. There is almost too much to enjoy in this vibrant city, but don’t miss out on seeing Buckingham Palace, the Tower of London, Big Ben and Westminster to get a feel for this regal city. Finally, this Europe architecture tour ends in the charming city of Dublin in Ireland. We’ll treat you to a VIP tour of this friendly city, which boasts glorious architecture, such as Kilmainham Gaol, Malahide Castle and St Patrick’s Cathedral. 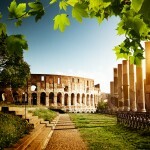 This Europe architecture tour begins in Italy with 4 nights in the Eternal City of Rome. Here, you will have plenty of time to discover all the historic attractions and classic architecture, and immerse yourself in the Roman culture. On your first full day in Rome, you will join our expert tour guide on a wonderful journey to the world’s smallest sovereign state and one of the most important stretches of land in the Catholic religion as you cross the border into Vatican City. Start your adventure at the door of St Peter’s Basilica, one of the largest religious buildings in the world and a crowning example of Renaissance architecture, where, once inside, you can discover spectacular art from Michelangelo and Bernini. After enjoying the delights of St Peter’s, you’ll enter the Vatican Museums, which are filled with rare artefacts and priceless masterpieces, including ancient Greek statues and Renaissance frescoes that are simply waiting for you to discover them. At this point, you may feel that the Vatican couldn’t get any more glorious, but we have saved a grand finale! On the last part of this Vatican City tour, as you cast your gaze to the heavens, you will witness the unmatched genius of Michelangelo in the sensational Sistine Chapel. This is a building unlike anything else on Earth, so be sure to take some time to savor it as your detailed tour of the Vatican comes to an unforgettable end. After free time for lunch, you’ll be treated to a private guided tour of Rome’s most beautiful classic architecture, including Piazza del Quirinale, Piazza Colonna, the Column of Marcus Aurelius, the intricate fountains in Piazza Navona, the immense Pantheon and the extravagant Trevi Fountain. This is one of the best tours to explore the city – all with a private guide by your side. 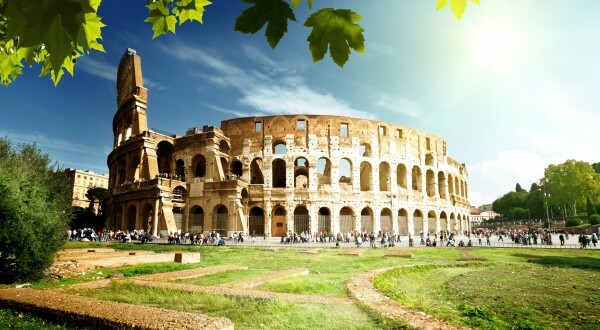 After a morning of leisure, our expert guide will take you on a journey back in time on a tour of Rome’s ancient sights, including the Fori Imperiali, Roman Forum, Augustus Domus and, finally, the epic and glorious Colosseum. Here, you will enjoy two hours on an in-depth guided tour that includes special access to the upper tier and fascinating underground level. During the tour, your private guide will entertain you with stories about the characters that played a role in the Colosseum’s history, as well as explain the amphitheaters’s unique construction. This will be a full day for you to explore Rome at leisure. Day 5: Welcome to the Amalfi Coast! After 4 nights exploring the history of Rome, it’s time for some coastal relaxation in Positano. This resort is one of the most exclusive on the iconic Amalfi Coast and a place where you can immerse yourself in a different side to Italy. The architecture here is defined by the colorful villas that cling to the cliffside and the region has a strong fishing industry, allowing you to sample fresh Mediterranean seafood. It is the perfect place to completely relax and rejuvenate on your Europe architecture tour, but there are also plenty of nearby attractions to explore, such as the lost city of Pompeii or the island of Capri. This will be a full day for you to explore Amalfi Coast at leisure. Completely relaxed after 2 nights on the Amalfi Coast, we will whisk you into the Renaissance beauty of Florence in Tuscany. Here, you can admire artistic masterpieces at the Uffizi and Accademia galleries, two of the most famous art galleries in the world and home to iconic artwork, such as the statue of The David at the Accademia. Or take some time to enjoy the Renaissance architecture of the city – the famous Cathedral and Bell Tower are a must! After just one night in Florence, it’s time to bid farewell to this jewel of the Renaissance and absorb the magic of the Floating City of Venice. This city in North Italy is known for its decadent architecture, especially the palaces that line the banks of the Grand Canal. 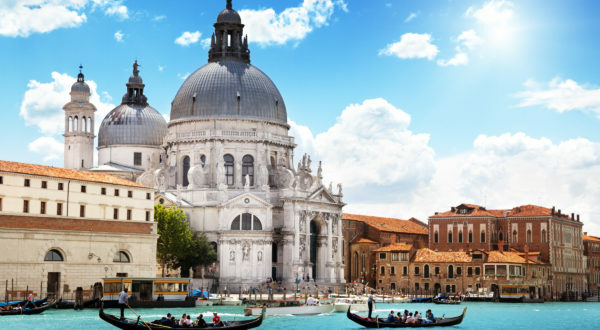 Popular attractions include the Doge’s Palace, Rialto Bridge and St Mark’s Basilica. As a part of this Europe architecture tour, we will arrange a high-speed train transfer from Florence to Venice and will have a water taxi waiting at the station to take you to your hotel on the main island so that you arrive in style, just like a celebrity! This will be a full day for you to explore Venice at leisure. Day 10: Welcome to Paris! 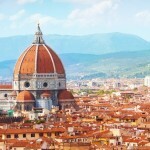 After enjoying the diverse scenery of Italy, this Europe architecture tour takes you to Paris, where you will have 3 nights to immerse yourself in its dreamy atmosphere. We include an internal flight as standard, so you don’t have to worry about a thing! This well-regarded City of Love has much to delight you and, on your first full day, we will treat you to a VIP city tour, featuring the Opera Garnier, the Place Vendôme, the Palais Royal, the Louvre, the Notre Dame Cathedral, the French Institute, the Orsay Museum, Concorde Square (the largest square in Europe where the French Revolution took the life of the King and the Queen), the Champs Elysées (the most famous avenue in the world), the Arc de Triomphe, the Grand Palais, the Invalides and, finally, the Eiffel Tower where you will make a stop for photos. This five-hour private tour is one of the best ways to discover Paris’ most iconic architecture and a real treat on this Europe multi-country vacation. This will be a full day for you to explore Paris at leisure. From Paris we take you to the regal city of London in the UK. This vibrant gem is known for its historic architecture, palaces, unusual bridges and refined buildings, and you will have 3 nights here to take in all the glorious attractions. We include a high-speed Eurostar train transfer between Paris and London, as well as private train station transfers, allowing you to arrive in luxury and style – just like royalty! Today, you will have the chance to discover London’s most iconic attractions with a full-day group tour. As a part of this experience, you will see famous landmarks and architecture, such as Buckingham Palace, Tower Bridge, Big Ben, Westminster and much more. It really is a wonderful way to see all the main sights in just a day. This will be a full day for you to explore London at leisure. As a finale to your Europe architecture tour, we take you to Dublin in Ireland. We include an internal flight from London to Dublin as standard, meaning you don’t have to worry about any of the travel plans on this exclusive Europe vacation – we’ll handle eveything! After spending a night settling in at your central hotel, our friendly Irish guide will come to greet you and take you on a wonderfully charming tour of Dublin and its refined architecture. This bespoke tour can be tailored in any way to suit your needs. However, as a part of this private tour experience, we recommend you enjoy Trinity College, the General Post Office, the pretty Temple Bar district and the Italian Quarter. You can also stretch your legs with an idyllic walk along the scenic Liffey River. Whatever the itinerary, during this VIP Dublin tour, your guide will entertain you with stories about Dublin’s intriguing past and modern culture. This will be a full day for you to explore Dublin at leisure. The morning sees you leaving Ireland on your flight from Dublin Airport back home. The sights, sounds, tastes and experiences of the past weeks will no doubt flood over you as you enjoy the luxury of a private transfer to the airport, leading you to smile in remembrance of times past and to plan for your inevitable return visit! How to book: You can book this package safely and securely online using the box at the top of the page. Simply select the number of travelers, the star of accommodation you would like and your chosen vacation dates, and click “Book now”. You can also select to pay the full balance or just a deposit. Alternatively, if you would like to find out more about this Europe architecture tour, please call our friendly team members at (347)-594-5500 or click here to send us an inquiry. Please note that the Vatican Museums in Rome are closed on Sundays and religious holidays. In the case of unavailability, alternate itinerary options will be offered.